Cripps Waratah consists of 34 teams across all age groups for season 2019. Teams compete in the RACT Insurance League with an Open & 19/u team plus Southern Tasmanian Netball Association's Winter Roster where we field teams from Under 11 through to Open Premier League. We are one of the largest clubs in Tasmania and couldn't be happier to have so many players being able to play the sport of netball with us, an achievement we are very proud of. Cripps Waratah offers many opportunities for members of all ages to take up umpiring as an alternative to playing or, in addition, to playing. Over the last few years the Club has been been very successful with a number of B and C Badges awarded. 1. If you have never umpired before and you are under 13 we require you to have umpired a season of the STNA Primary Roster before umpiring Winter Roster. 4. For those who have umpired at least a season and wish to work towards a Badge it is a good idea to do the Foundation Umpires Course . This provides an introduction to the basic principles, techniques and knowledge required by a netball umpire. The Online course has five modules; A Good Umpire, Getting Started, Umpiring Techniques, The Rules in Action and Where to Now. Each module requires a 100% completion mark before the Certificate can be downloaded. Register with the STNA Office to umpire a Primary Roster Competition if you haven’t umpired before. Umpiring can be exciting, challenging, rewarding and also gives a greater understanding of the game. Anyone who is interested please contact Glynis Devereux on 0407 355295 or glynisf9@gmail.com. Thank you for your interest in playing with our club. Do you want to join a team or get information about selection trials? Need more information about registration fees and payment methods? You will need to fill in an online clearance form, if you have played with a different STNA club. Your coach will contact you to tell you specific information about when your training is and they will provide information about your team and expectations. All the best for the season ahead, and Welcome to Cripps Waratah! Proud major sponsor for the Cripps Waratah Netball Club. 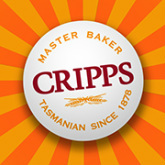 Members and their families are encouraged to purchase Cripps Master Baker products when next shopping at your local store or supermarket. Like their Facebook page and get involved with their many competitions on line with great products to be won and great ideas to share with Cripps products and recipes.